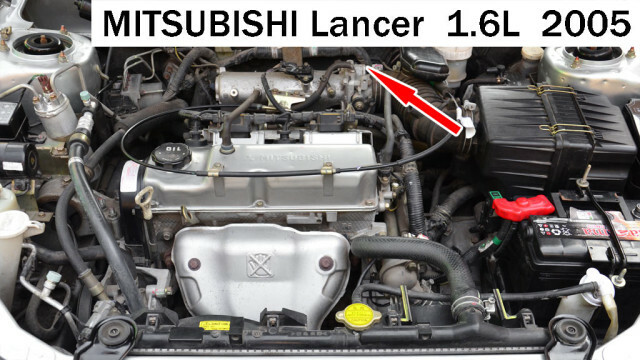 Typical location of the idle air control valve. 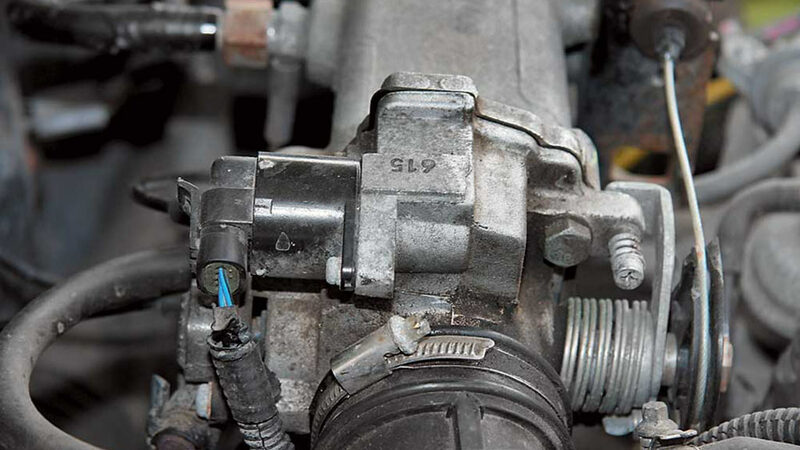 Idle air control valve appearance. 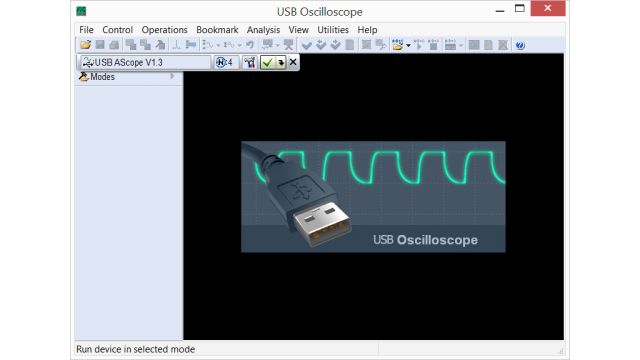 Setting the USB Autoscope IV to 4-channel mode. 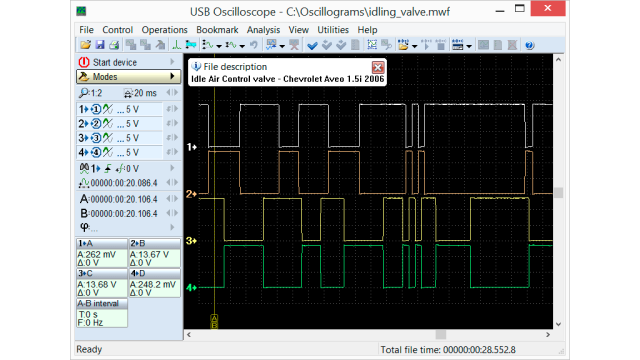 Output voltage waveform from stepper motor control circuit of the idle air control valve on Chevrolet Aveo 1.5i 2006, recorded while the engine was at idle.